Those of you who are completely new to the art have a distinct advantage—you don’t have to unlearn any of the B.S. that floats through the bonsai world all too often. Enjoy your Beginner’s Mind while you can. First, get a book or two and try to absorb the most basic ideas. The book I like is by Yuji Yoshimura and Giovanna Halford, now called “The Art of Bonsai”. You can get it cheaply used thru Amazon— Unless you’re a collector, why not buy used books that you can beat up??. Note that it used to be called “The Japanese Art of Miniature Trees and Landscapes”— same book. The other great book is John Naka’s “Bonsai Techniques, Vols. 1&2”. These are wonderful books, but are relatively expensive, especially when autographed. If you’re working on the cheap, the Sunset and Ortho paper bounds are very decent, and are almost free on the used mkt. Remember that the club has an extensive library, which Burt quixotically brings to each regular meeting. The internet is a vast mixed bag. I like a Brit named Graham Potter, who has numerous lessons on many topics. He works on especially good material, which will give you a sense of our main problem, which is the lack of good bonsai material UNLESS you are willing/able to collect. The other guy, who is a part of a New Wave of young hakajin who have been well-trained, is Ryan Neal. We will give you other suggestions as we go. In terms of supplies, keep it simple at first, unless you are rolling in $$ and have a need to go ape-crap to disguise your insecurities. A decent pointed-nose trimmer, a wire cutter, and maybe a heavier pruning shears will get you going—all available at Wal-Mart. Check and see what the old fools are using at the workshop— we’ll spend some time this Sat on the subject. Wire for training is important, and not many el cheapo alternatives are available, unless you are among those fine citizens of our State who steal copper, Years ago, copper was the standard, but in the 70’s, anodized aluminum almost totally replaced it. Annealed copper is still the best, but is a lot harder to work with unless you have King Kong hands. Many of us buy aluminum wire from Dallas Bonsai Gardens, who always seem to have the best prices. It’s a helluva lot cheaper in bulk, so maybe we’ll try to make a buy and share. I have a lot of wire, if you need some to do your workshop material. Remember that most any woody trunked, small leaved material is usable as bonsai stock. Junipers are best to start, though some of you will want to use tropicals that you can keep indoors. I’m not a tropical fan, but the principles are about the same. We’ll teach you what to look for in material— a matter of primary importance. In NM, it is of paramount significance that you work to provide an environment favorable to the cultivation of your trees. Just about everything that bonsai don’t like is the weather norm here— dry air, strong winds, intense sun, abrupt temperature change, lousy water, etc., etc., etc. If you are unable to negate most of these problems, you will lose interest and go back to your old hobby of psycho-active drugs. 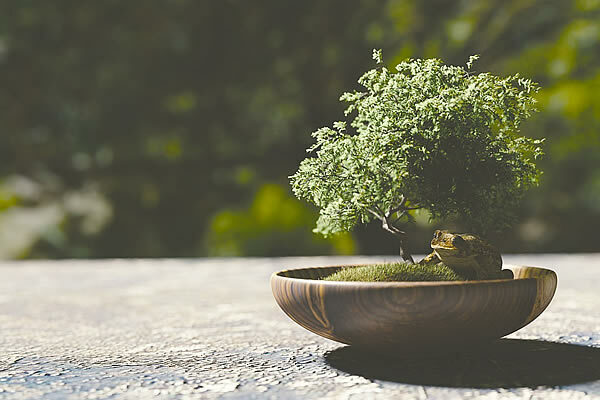 There are NO bonsai prodigies— everyone is a geek for a year-or-two, at least. But if you can’t keep plants alive and happy, you’ll have to settle for being a viewer/appreciator, rather than a participant.